Just another typical Model 3 sighting? Maybe. Maybe not. 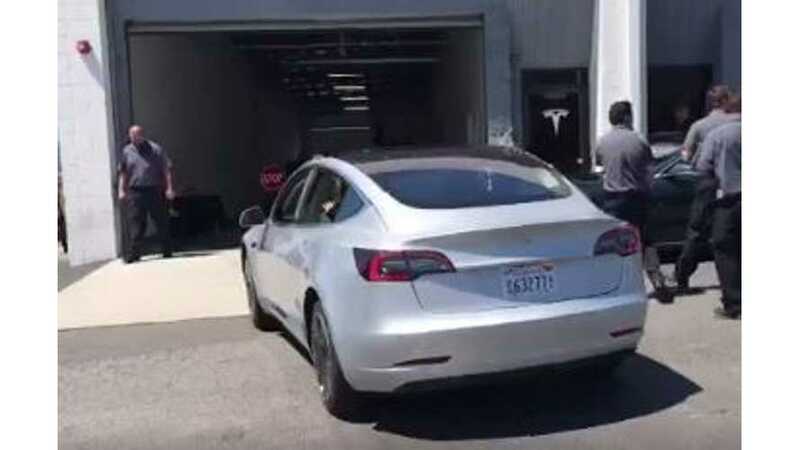 This particular Tesla Model 3 was sighted in Burbank, California (right in front of Tesla's Burbank Service Center), which is close to the Tesla Design Center that often hosts the automaker's big reveal events. The reveal for the Model 3 is right around the corner, so there's a chance it seems that this particular Model 3 could be one of the reveal cars. The final reveal of the Model 3 in full production form will take place sometime in July.